I've just noticed that currently, if one of my terminator is killed in front of another Terminator in Overwatch mode, this doesn't trigger any overwatch shoot right after the death of the terminator. 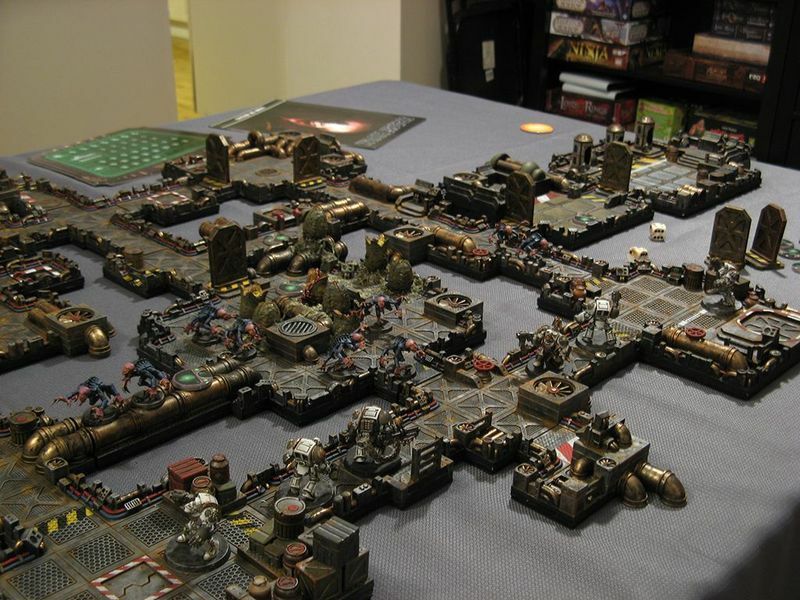 In the Boardgame, this is the case and as soon as the miniature is removed from the board, the second terminator can shoot before any movement of the Genestealer. I was just wondering if this was made on purpose, or if this is just some bug. Guys, if one day, some of the developpers come to Montreal, feel free to knock at my door and we'll play some games of Space Hulk on my special handmade 3d version... You'll deserve it for having finally done a nice version of one of my all time favorite game. Please forward my big Thank you to all the team ! Is the ps4 version supposed to be released at a later date ? Apparently, the game isn't available on the French canadian store. I can effectively see it on the link provided, but it then automatically redirect me to the canadian store, which doesn't have any Space Hulk Tactics entry. If someone has the information, I'd like to know what is the current release date for the ps4 version of this game ? Is it supposed to be the same date than for the steam version ? Or would it appear way later ?